Problems with skin irritation have come back to haunt Fitbit, with users of its new Charge device complaining of discomfort caused by the band. We initially reported complaints back in December, when Fitbit was moved to release a statement advising users that it was a hygiene issue not the Charge and Charge HR band that was causing the issue. Well the problem hasn't gone away, and a be-scabbed user has collected the details of 200 other such victims, and brought the attention back to the issue. Well, he can add us to the list. We also experienced a rash during the review of the Fitbit Charge HR. As we wrote in the review, it was isolated to just one of the Wareable team, but there's certainly an issue here. “The reactions we are seeing with Charge are not uncommon with jewelry or wearable devices that stay in contact with the skin for extended periods. According to our consulting dermatologists, they are likely from sweat, water, or soap being held against the skin under the device." "We are encouraging anyone wearing an activity tracking wristband, regardless of the brand, to follow four key elements for maximum enjoyment: keep it clean, keep it dry, keep it loose, and give your wrist a break," he continued. Having followed the advice and still suffered from this nasty irritation, it seems Fitbit's simple explanation may need a little more investigation. Have you been affected by a rash from your Fitbit or other fitness tracker? Let us know in the comments below. It amazes me how Fitbit continues to call this an "irritation". 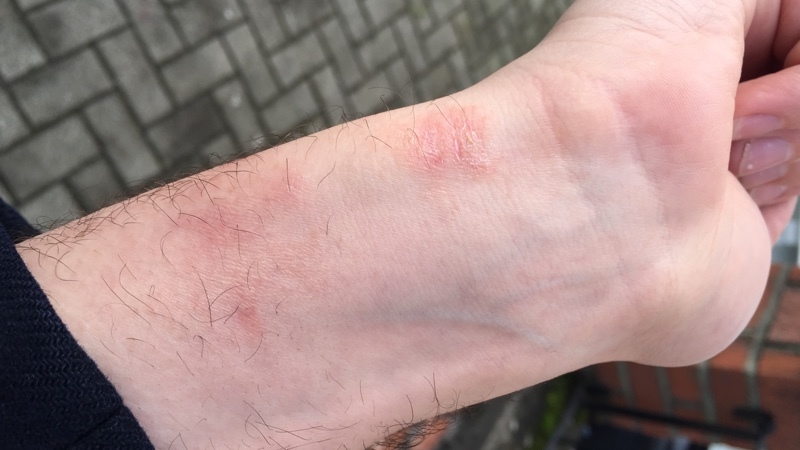 Their wristband did cause an irritation, I had to purchase a new wristband as the one that came with the Charge 2 resulted in a severe rash on my wrist. The issue that is most concerning though, is the burns (these are NOT rashes) I am getting from the Fitbit itself. This is not a rash, this is a burn. CPSC found that sweat in the charger caused a chemical reaction that produced a toxic compound which results in a skin burn the shape of the charging port. Exposing sweat to an electric charge would produce toxic compounds like sodium hydroxide, which could very severely burn your skin. It seems Fitbit has been dismissive of this theory, even though the complaints keep rolling in for burns on the wrists. Fitbit charges a lot of money for the Charge 2. It would be nice if they would take the burn complaints a little more seriously. I now have a permenant scar from the burns the Charge 2 caused.